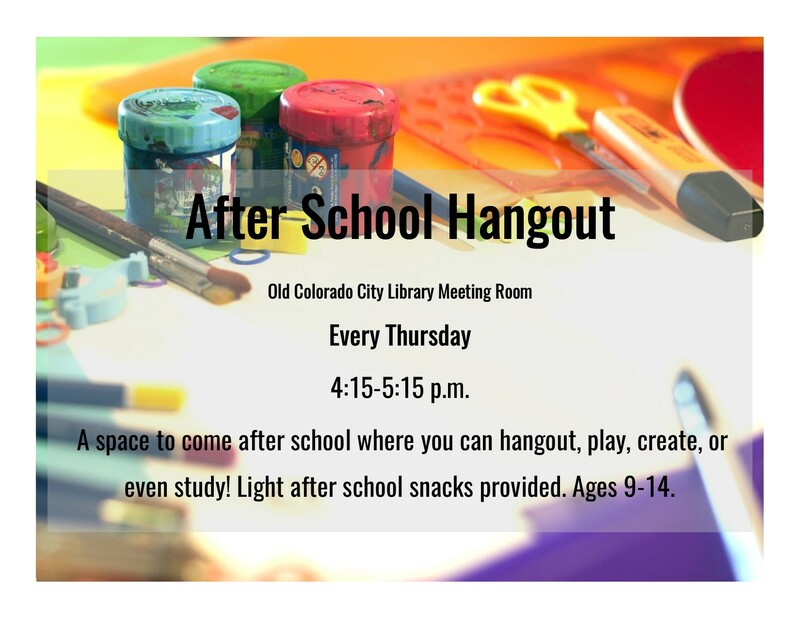 A space to come after school where you can hangout, play, create, or even study! Light after school snacks provided. Occurs every Thursday! Ages 9-14.